SimScale and Friendship Systems announced a collaboration based around the latter’s CAESES tool for parametric modeling. Microsoft announced an Open Source Partner Community. SGI has been acquired by HP Enterprise for $275 million. The NAFEMS World Congress 2017 will be held 11-14 June 2017 in Stockholm. Envenio wrote about 7 challenges CFD can solve. #2 “most CFD tools are incredibly accurate”. Screen capture from a video showing die surface temperature from a simulation by FLOW-3D. Click image for article. Via Desktop Engineering comes access to a 6-page PDF about what’s new in ANSYS 17 including Fluent, CFX, and SpaceClaim. Also from Tecplot, video instructions on how to create Tecplot SZL files for improved performed. The summer issue of FLOW-3D news is available. STAR-CD v4.26 has new reaction models and is now available. CFD simulation of a medical device (inhaler) by CD-adapco. Image from OINDP News. See link below. CFD for medical devices such as inhalers. See image above. More color map advice for better scientific visualization. Instead of seeing meshes where none exist or finding another example of stupid liquid tricks*, this week’s diversion is probably more related to visualization and the link above about color maps. 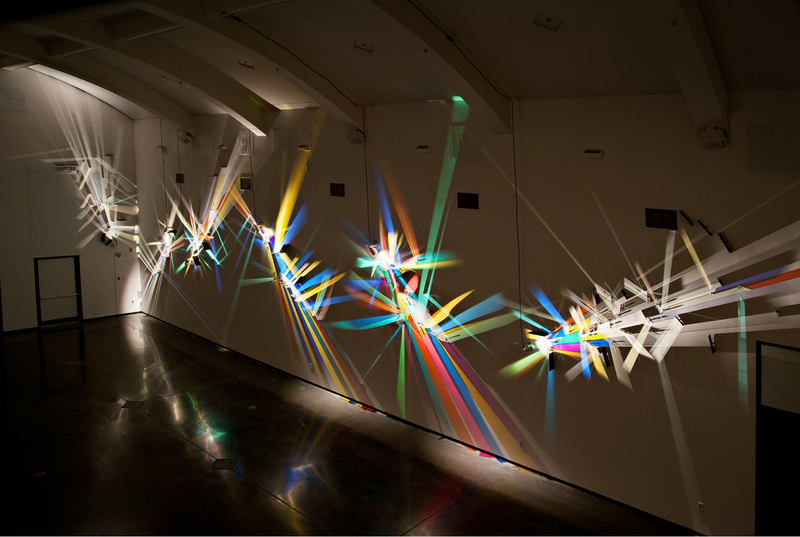 Stephen Knapp creates site-specific light paintings with the aid of dichroic glass** that raise the issue of how we perceive art. First seen on Colossal, more seen on the artist’s website. Stephen Knapp paints with light. See links above. *Not a value judgement, just a play on words related to David Letterman’s stupid pet tricks. **Glass that displays two colors under certain lighting conditions. Bonus: “Few people appreciate engineering like artists.” GrabCAD shares examples of works of engineering currently on display in museums of art. This entry was posted in Applications, Events, Hardware, News, Software and tagged ANSYS, CAESES, CFX, FLOW-3D, Fluent, FRIENDSHIP-Framework, Microsoft, NAFEMS, sgi, SimScale, SpaceClaim, STAR-CD, Tecplot 360, visualization. Bookmark the permalink.